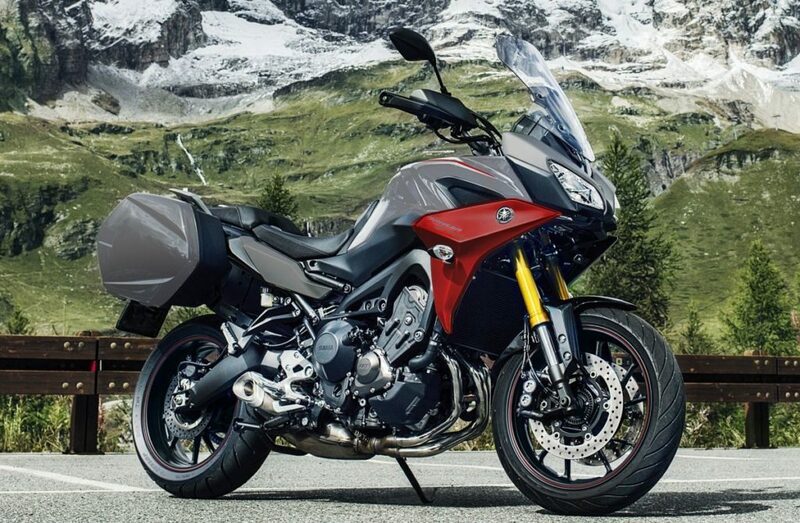 The Yamaha Tracer 900 replaces the FJ-09 in Yamaha’s lineup of sport-touring bikes and has been updated for the 2019 model year while available in both a standard version and as the Yamaha Tracer 900 GT – a premium, tour-ready GT bike. Its 847cc triple motor was introduced on the 2014 FZ-09 naked bike with a Crossplane Concept Crankshaft. In 2015, it was joined by the FJ-09, a more practical and user-friendly sport touring ride, built around the same potent engine. In a move to simplify its model choices in the global marketplace, Yamaha opted to rename the FZ-09 as the MT-09 and to call the FJ-09 the Tracer 900. Propulsion is courtesy of an 847cc, DOHC, 12-valve, liquid-cooled, fuel injected inline 3-cylinder engine with a Yamaha Chip Controlled Throttle and Transistor Controlled Ignition. Horsepower is rated at 105, with torque measuring 60 pound feet. Energy is geared to the rear wheel via the final drive’s O-Ring chain through a compact 6-speed transmission with multiplate assist and slipper clutch with selectable Drive (Ride) modes – more on that later. 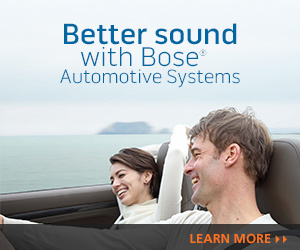 The exhaust is low and unobtrusive and manages to deliver a melodious 3-cylinder note when prodded. The Tracer 900 GT rolls on Dunlop SportMaxx D222 MC Rubber-120/70 ZR17 MC in front and 180/55 ZR17 MC rear mounted on 5-“V”-spoke Neon Blue alloy wheels. Reining in the powerful sport tourer are Front – Dual 298mm hydraulic discs, and ABS and in the rear a single 245mm hydraulic disc and ABS. Suspension componentry consists of 41mm fully adjustable gold anodized inverted forks, with 5.4-inches of travel up front, while out back, there’s a single shock swingarm with 5.6-inches of travel. The Tracer 900 GT model comes ready to hit the highways, byways and backroads, equipped with standard 22-liter hard, locking saddlebags that are easily removed (using the ignition key), a reshaped, larger hand-adjustable windscreen, enhanced suspension with a fully adjustable fork and linked shock adjustable for rebound and preload (with a new remote adjuster), an extended swingarm (lengthened 2.4-inches), that improves straight-line stability and corner exiting without affecting the light, agile steering, There’s also cruise control, a clutchless quickshifter, a 12-volt electrical outlet, a full-color TFT display, heated grips and handguards. Seats for both the rider and passenger have been reshaped and are thicker, with the adjustable height of the seat increased somewhat to a range of 33.5/34.1 inches. Footpeg brackets and grab handles feature a new design. Handlebars are narrower and are within a comfortable reach. The first gen FJ-09 proved to be immensely popular thanks to its powerful motor, solid chassis and stylishly appealing design, and those who liked it, are sure to love the updates that have been made to the Tracer 900 GT that are focused on delivering refinement and increased versatility. In terms of its visual magnetism, the Tracer 900 GT showcases new bodywork, with a reshaped headlight assembly, slimmer hand guards and new “triangular pyramid” fairing panels that improve airflow. The basic body (fenders and tank) color is Raven metallic, while the new fairing panels are sprayed Silver metallic with Yamaha’s circular tuning fork logo and Black and Neon Blue Graphics. The overall flavor is that of a sport bike with touring attributes and pleasing ergonomics. The centrally positioned TFT display is a tad small, but it is highly legible in varied light conditions. The upright seating position remains with centrally located rider pegs and plenty of legroom for ensured comfort, though they are in close proximity to the passenger pegs. My test 2019 Yamaha Tracer 900 was the GT version with a Raven, Silver and Neon Blue color pallete. The base price was set at $12,999. fully loaded, with only the $375. Destination charge tacked on, bringing the final count and amount to $13,374. SUMMARY: The 2019 Yamaha Tracer 900 GT serves up a customizable menu for a variety of riding scenarios utilizing Yamaha’s exclusive ride-by-wire Chip Controlled Throttle (YCC-T®), which was derived from MotoGP technology, and powers the Tracer’s rider aids, including D-Mode adjustable throttle response, the integrated multi-mode Traction Control System (TCS), cruise control and quick shifter feature. The Drive mode switch allows choosing the Standard Mode, which Is for various riding conditions, Mode “A”, that delivers sportier engine response in low to mid-speed range, and Mode “B” that is a little less crisp compared to STD” – It’s meant for riding scenarios requiring really sensitive throttle operation. Modifying the selection is possible on the fly. Low speed balance and control are ideal, with canyon carving capability added for good measure, keeping in mind that the pegs are long and thereby prone to scraping. The Quick shift feature allows upshifting without the clutch at speeds of at least 12 mph or with the engine at 2300 rpm or more, and only when accelerating. This can make riding more enjoyable when the shift switch, which is located just above the shift pedal is turned on. The Tracer has both a side stand and a center stand. Vertically challenged riders may encounter some difficulty in throwing a leg over to mount, as the hard saddlebags are somewhat elevated. The directional signals are not self-cancelling, but there is a gear indicator in the TFT along with most other functions such as indicator and warning lights for: TCS; engine oil and coolant; cruise control; shift indicator; high beam; ABS; engine trouble, right and left turn signals, neutral and immobilizer system. In the bottom line analysis, if you can have only one bike, the 2019 Yamaha Tracer 900 GT sport tourer may well be the ideal choice. It’s highly versatile, being well suited to daily commuting, short fun jaunts or longer road trips. It’s quick, well balanced, comfortable, really good-looking and affordable.